MF23 is is a lower profile floor tensioner. Use it to tension cables to minimize the movement of displays. 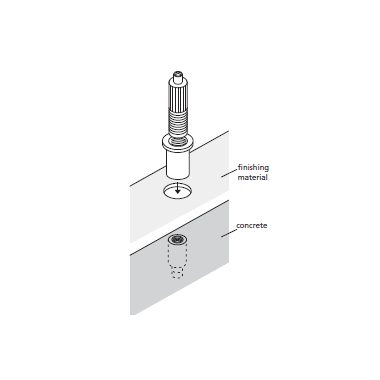 The MF23CSET includes a countersunk mounting base for concrete. Drill first hole in concrete to accept the base. Then drill a second hole to accept an anchor. 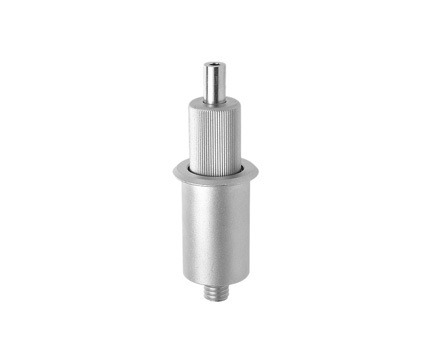 The base includes a 3/8-16 threaded stud to secure the base to the anchor.